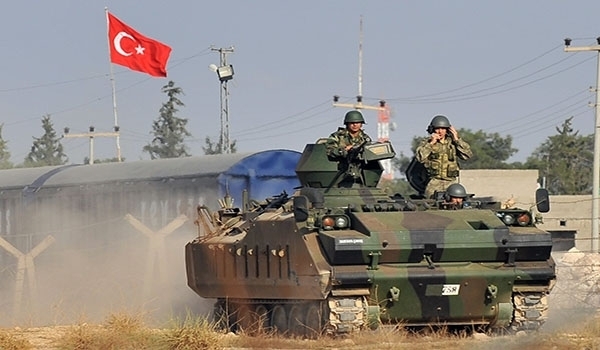 ISTANBUL: The Turkish military destroyed 12 targets in northern Iraq belonging to the Kurdistan Workers Party (PKK) in overnight air strikes, it said on Tuesday, as the army steps up operations against militant targets in the Qandil region. The targets, in northern Iraq’s Qandil, Hakurk and Avasin-Basyan regions, included shelters and ammunition depots, it said. Turkey’s army has recently ramped up strikes against the outlawed Kurdistan Workers Party (PKK) in northern Iraq, which has bases in the Qandil mountains. The army also said that 34 militants had been “neutralized” in operations in northern Iraq between June 1 and June 8. The military uses the term “neutralized” to refer to operations in which opposition forces have been killed, wounded or captured. Meanwhile, Turkey will remain in northern Iraq until all terrorist groups are removed, Defence Minister Nurettin Canikli said on Tuesday, amid increasing government warnings of a military operation against Kurdish militants based in the Qandil mountains. President Tayyip Erdogan, who faces presidential elections on June 24, on Monday said Turkey would drain the “terror swamp” in Qandil. The PKK, which has waged a three-decade insurgency in Turkey’s largely Kurdish southeast, is considered a terrorist organisation by the United States, Europe and Turkey.